Nova 7s is a 5 reel, 25 payline online slot powered by Real Time Gaming. This unique new slot will give players an experience that is out of this world! Free Games are triggered by scattered Blue 7’s, with 4 different features to be won. 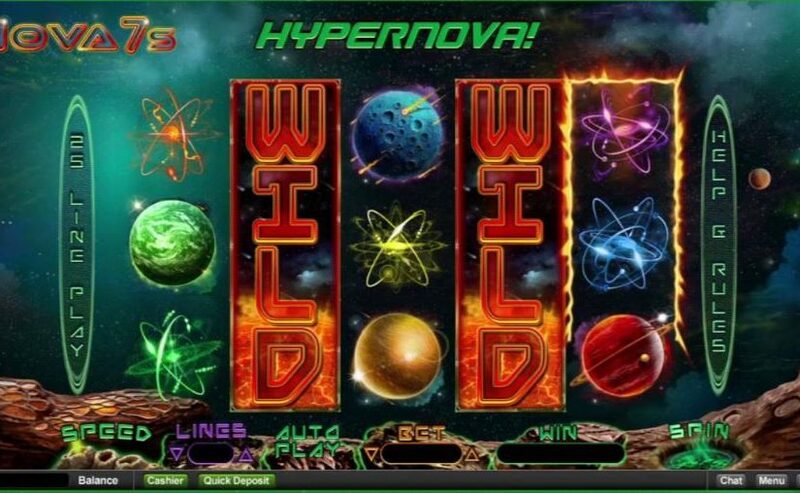 The Feature Bonuses start with the Nova 7 Feature, and go all the way up to the insane Hypernova Extreme Feature, which awards 7 Free Games with Extra Wilds that always expand, prizes x7 and a Wild Re-Spin!